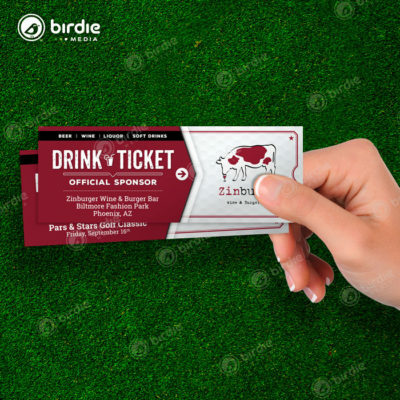 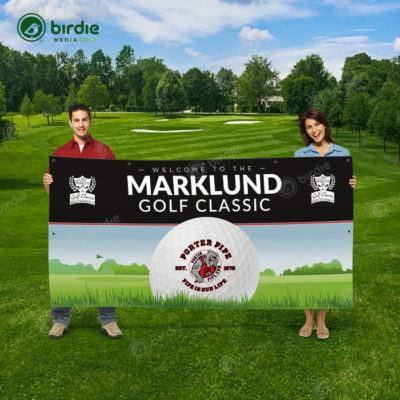 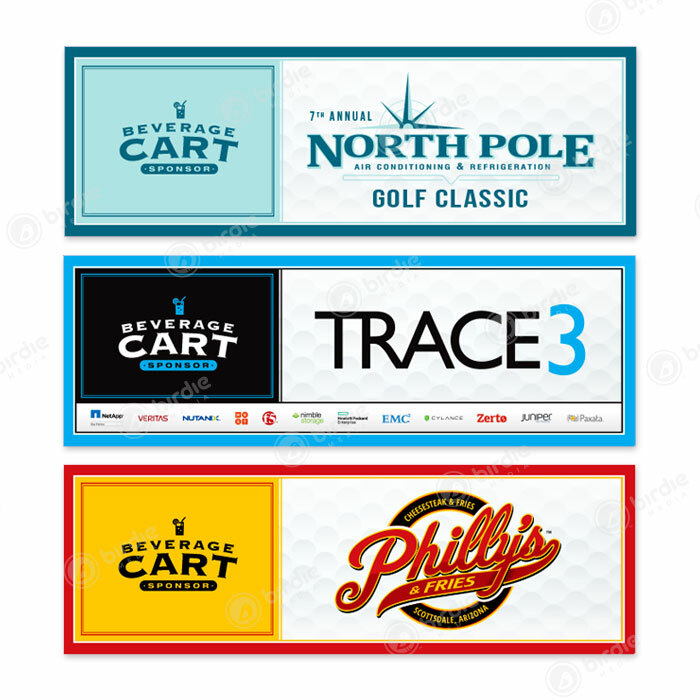 Use our low tack vinyl decals to promote your beverage cart sponsor for your next tournament. 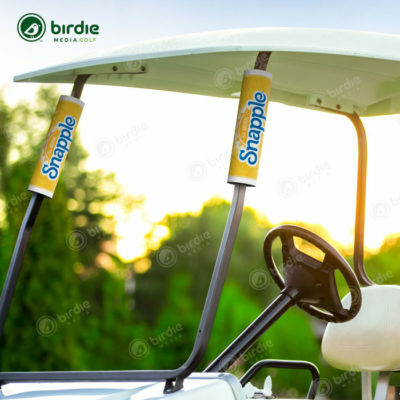 These 8″x24″ full color decals are ideal for limited time placement for both windshield and beverage cooler box locations. 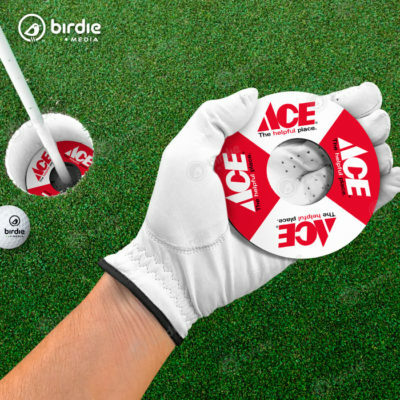 After the tournament the decals are easily removed without leaving sticky residue like traditional sticker adhesive. 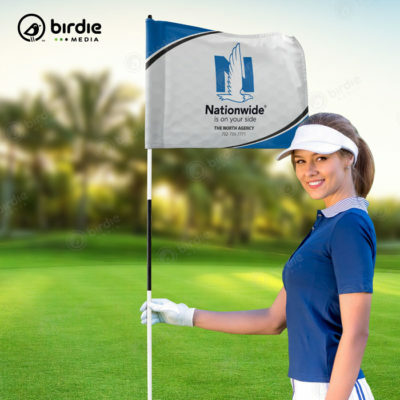 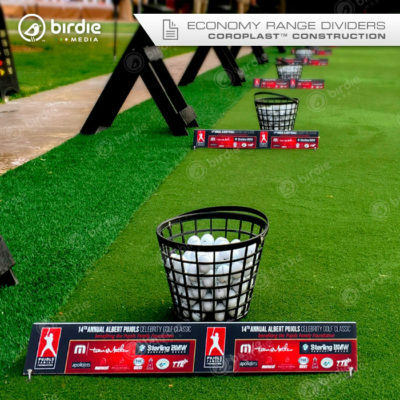 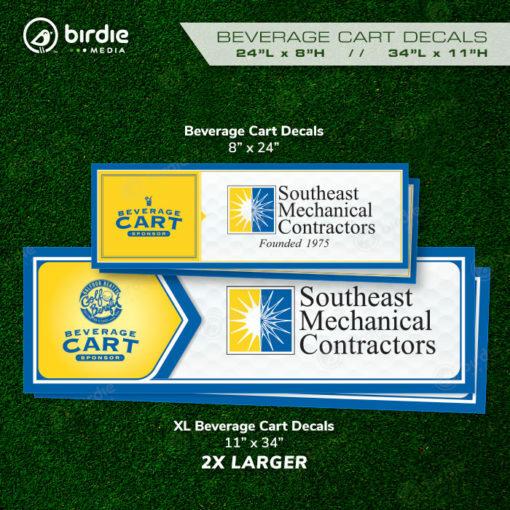 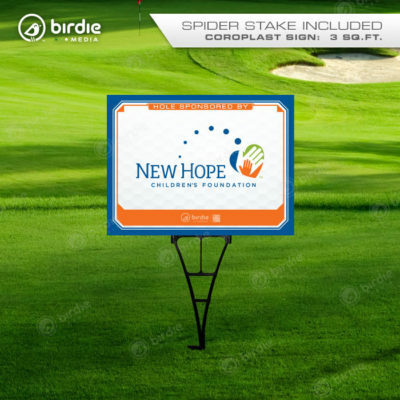 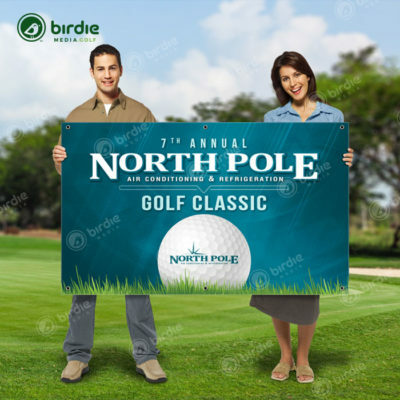 Our beverage cart sponsor decals make a better choice than printed corrugated plastic signs or vinyl banners since they don’t need straps or hardware to attach and aren’t susceptible to wind resistance.